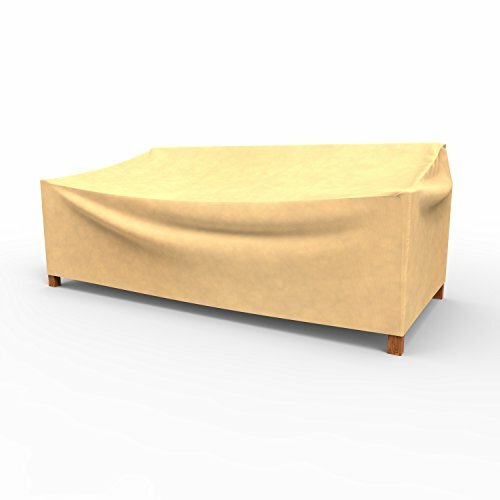 Part of the Classic Nutmeg collection, this durable patio furniture cover will protect your outdoor sofa, bench or loveseat. Material is protective and durable as well as sleek and stylish. Two external layers of the cover are comprised of high tech spun-bound, and treated with a UV compound. Be sure to measure your sofa or loveseat to get the best fit. If you have any questions about this product by EmpireCovers, contact us by completing and submitting the form below. If you are looking for a specif part number, please include it with your message.